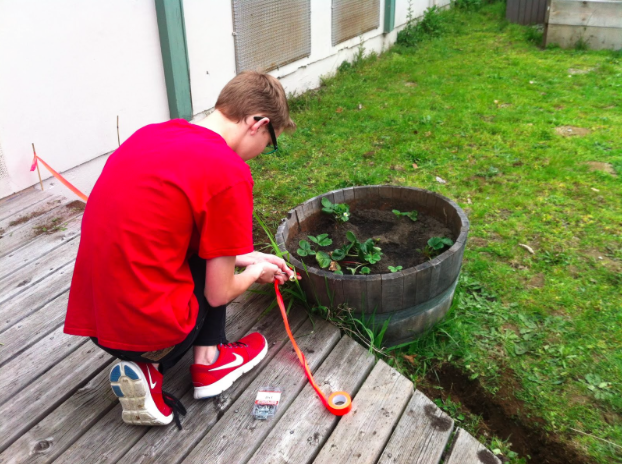 We have been working in the garden a lot because it has been so nice out. 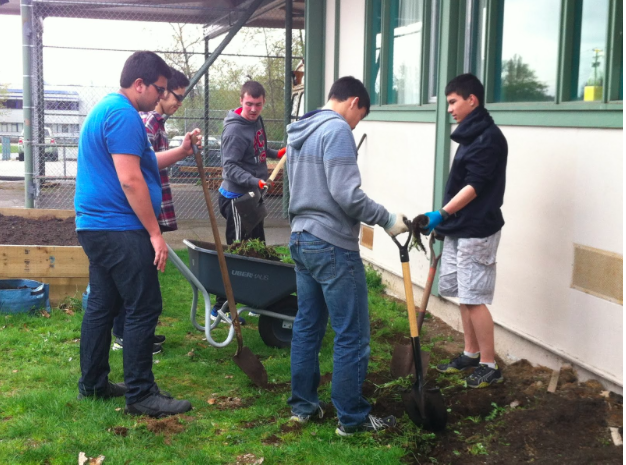 There were many jobs that we needed to get done, so we got some students from the garden group to help us. Shauna saw a mouse by our compost pile one afternoon last week, so some people were working on moving the pile so that the mouse doesn’t eat our veggies when they start to grow. 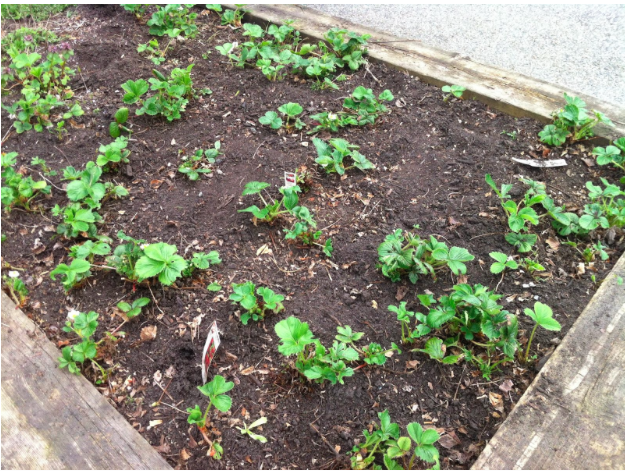 Our strawberry bed was a mess–some living plants, some dead, and we worked on removing all the dead plants so that we have more room in the bed. 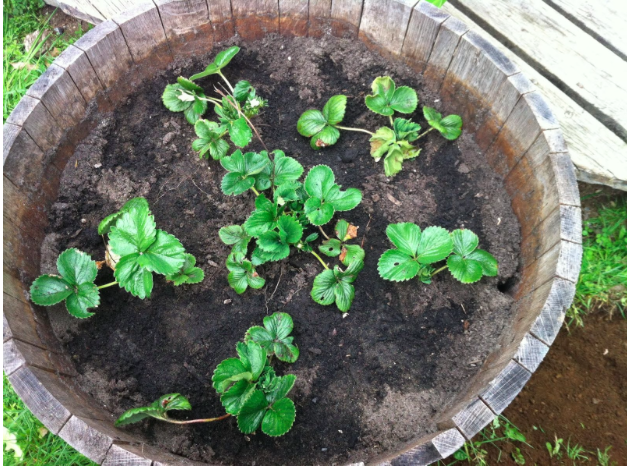 We planted in the barrels a couple weeks ago–strawberries in two, and pansies in the other. The wind blew violas seeds all over the grass last year, and they have just recently started to sprout. 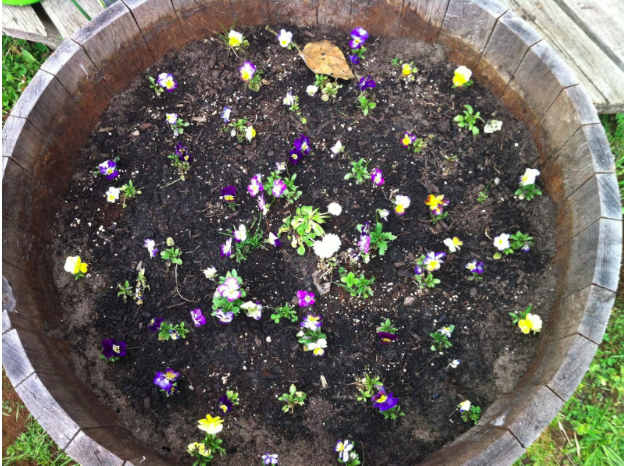 We have now dug most out of the ground, and planted them in the middle barrel. (They don’t look very good now but we’re hoping they’ll grow). 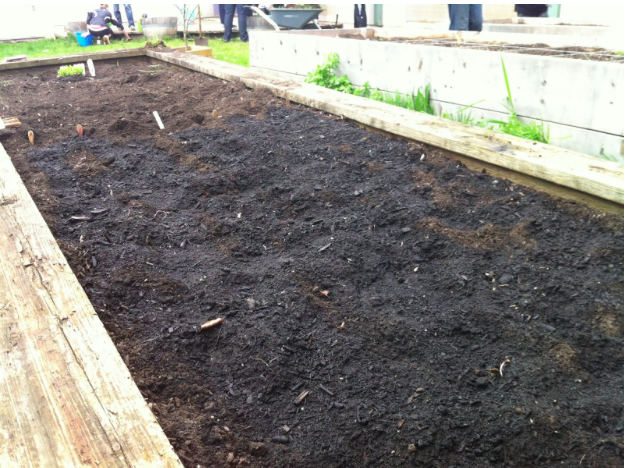 Our plan is to have an elementary school class come and use this bed, so we planted half of the bed with two types of lettuce, radishes, carrots, and kohlrabi so that they will have something to harvest and eat when they come. 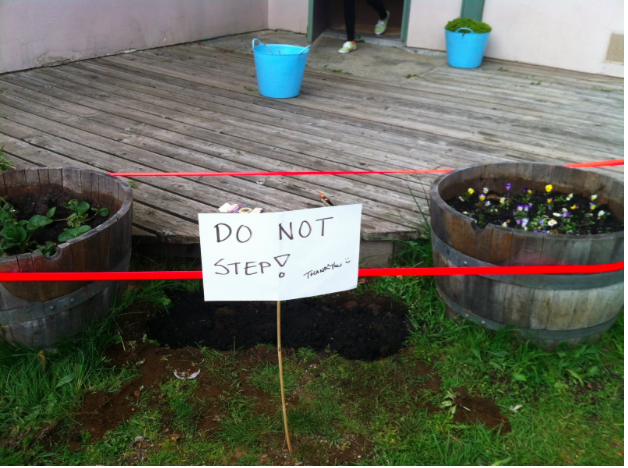 Mr. Khalili thought that it would be nice if we had sunflowers growing in the garden, so some students dug out the grass in between the barrels and we planted different types of sunflowers. 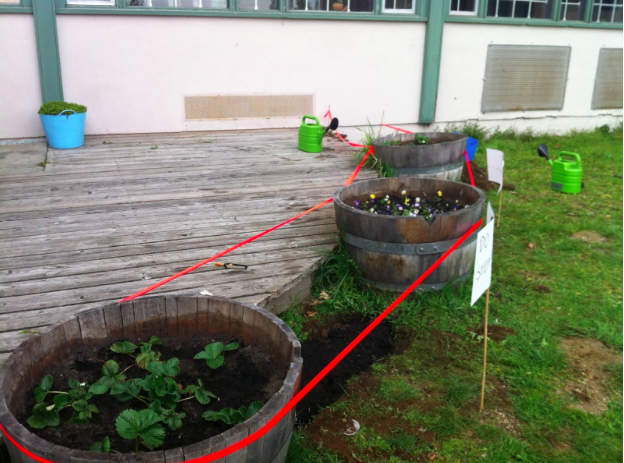 A group of students wanted to grow melons, so they dug up a patch of grass to have somewhere to plant them. We will post more photos as everything continues to grow!